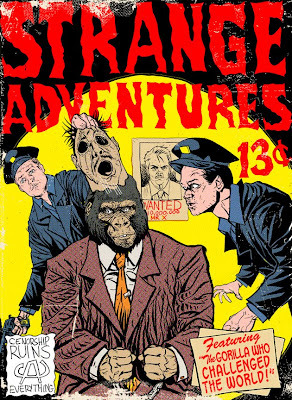 Original cover by Murphy Anderson; DC 1955. James Clark's website is here. 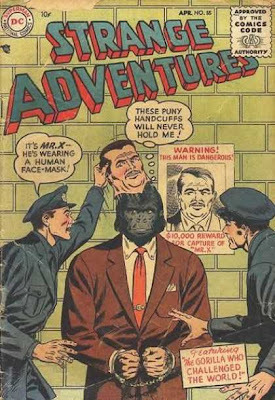 You really can't improve on a cover depicting a gorilla in handcuffs getting his man-mask pulled off. Still, great job. I think you've proven that the speech bubbles are superfluous. Also, you allowed me to use superfluous in a sentence, actually in two sentences. Very good cover.